The Transfer team received this week the polo t-shirts with the logo of the project. 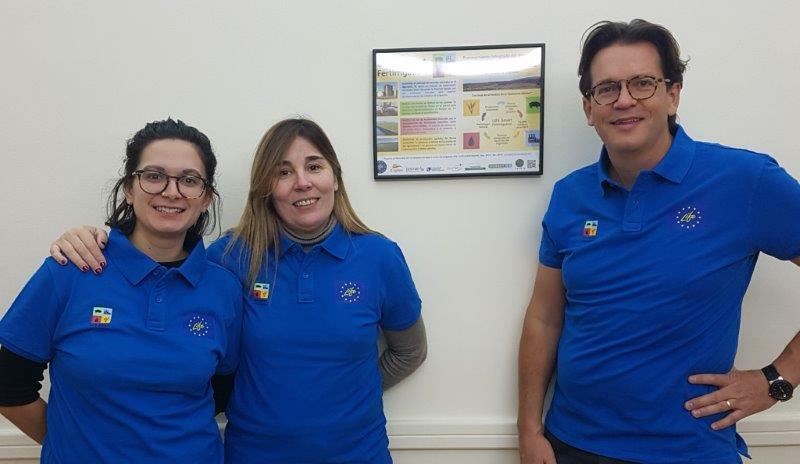 The realization of these polo t-shirts is intended to support dissemination and promotion activities in different events such as international fairs, congresses and seminars. Below we can see the Transfer LBC team posing with the new t-shirts and the notice board of LIFE14 ENV/ES/640 SMART FERTIRRIGATION project.